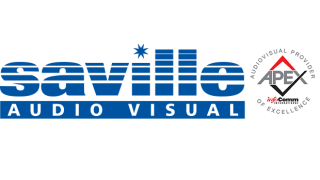 Specialist audiovisual integrator, Saville Audio Visual, has completed the InfoComm International AV Provider of Excellence (APEx) qualification, becoming the third U.K.-based audiovisual company to attain the recognition. “This is a great achievement for the company and a positive industry recognition of our total commitment to continuing investment in staff development and the delivery of excellent customer satisfaction,” said Andy Dyson, Saville sales and marketing director. The InfoComm APEx program recognizes companies based on the number of employees holding key industry certifications, including the InfoComm CTS credential, completion of continuing education classes, and positive customer survey responses. APEx providers must also prove that they meet or exceed the requirements within two ANSI/INFOCOMM standards, the Standard Guide for Audiovisual Systems Design and Coordination Processes and the AV System Performance Verification Standard, designed to foster better communication between the AV provider and the client.